Odeon Theatre, Mon 2 July. Brothers Wreck is intense. Set in the oppressive Darwin heat an extended family struggles to adjust to the trauma of loss and death. Much of the story revolves around Ruben Kelly, a troubled young man who is all consumed by an implacable knot of anger. Where others in the family seem to somehow cope with a family tragedy he is unable and unwilling to face it, and bitterly resents anyone who confronts him about it. Much of Brothers Wreck revolves around Ruben and, for it to work, his character needs to hold our attention and Dion Williams manages this with a scary and sustained performance of agitation and barely controlled aggression. There are some deeply moving moments in this play. The discovery of Joey’s suicide is full of raw sad panic. Playing the part of Aunty Petra, Lisa Flanagan’s recollection of an accident out on the highway one night was spellbinding with real emotion, and when Ruben’s best mate pleads for him to stop wallowing in misery in a scene that stops just short of an all-out brawl is powerful and beautiful theatre. This production sets a high level of emotional engagement and tension early on and holds it unwaveringly until some lighter moments just before play’s end give a hint that resolution may be possible. The tension is aided by a soundscape of tropical rain and a constant hum that takes the audience to a place where we understand there are some things you can never forget; that moving forward in life is about facing what has happened and accepting that you won’t ever forget. Brothers Wreck features an all Aboriginal cast, and a principal focus is the scourge of youth suicide. 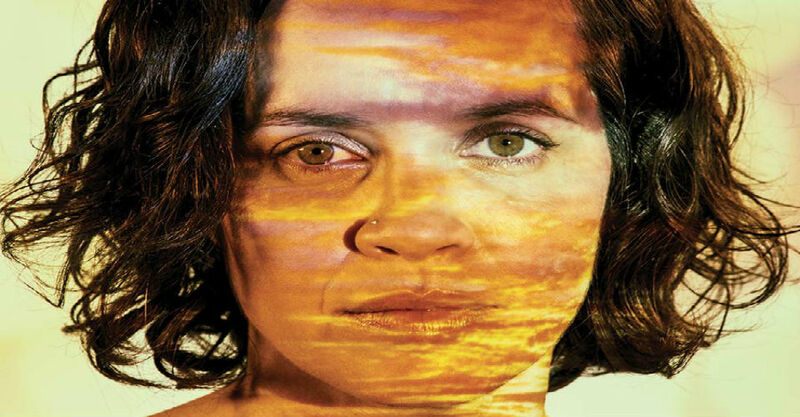 The situation that the Kelly family finds themselves in could be that of any Australian family, but as writer Jada Alberts points out in her Director’s notes, suicide rates are much higher than average among indigenous communities, and the devastating effects of living on the margins of Australian society means tragedy, sadly, is a constant feature of Aboriginal life. A remarkable piece of theatre: a deeply moving and adroit portrayal of the highs and lows of existence, and the crucial role of family and community in surviving tough times. Brothers Wreck continues at Odeon Theatre, 57a Queen St, Norwood, at various times, until Sat 14 Jul. Book at BASS on 131 246 and bass.net.au. Click HERE to purchase your tickets. Adelaide singer-songwriter Michael Coghlan has been reviewing music and theatre since his undergrad days with On Dit at Adelaide University. In pre-blogging days Michael often reviewed plays and concerts for his own enjoyment, and is still an occasional blogger. He reviews articles on educational technology for academic journals, is an avid amateur photographer (check out mikecogh on Flickr), and an accomplished public speaker. He is a regular judge for the annual SCALA Festival of Original Music (FOOM) Song Competition, and has been reviewing Fringe events for local media for over 10 years. He is now very happy to be writing for The Clothesline.